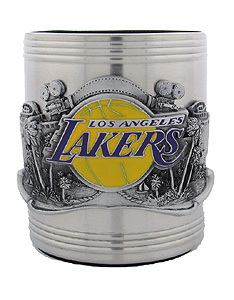 This NBA Los Angeles Lakers stainless steel can keeps canned beverages cool in style. Los Angeles Lakers Team colors are expertly enameled on emblem depicting the team and the city they represent. Check out our entire line of NBA merchandise!